Flower measures 8 x 10 inches. 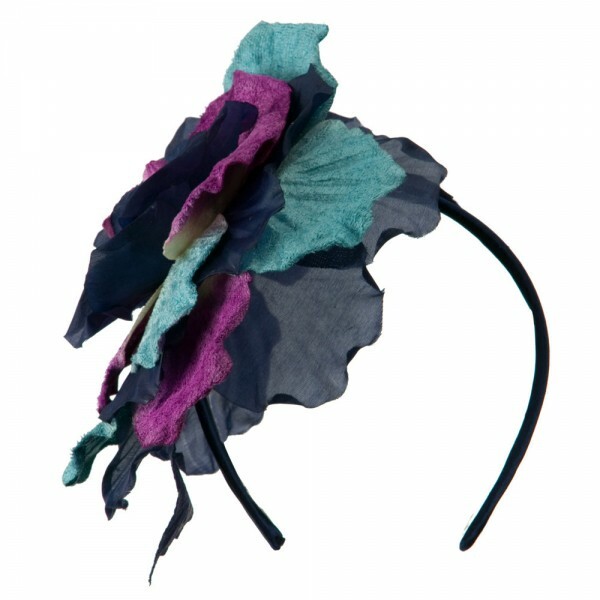 Large mixed color flower decoration attached to band measuring 1/2 inches wide. Light, thick, and soft material. 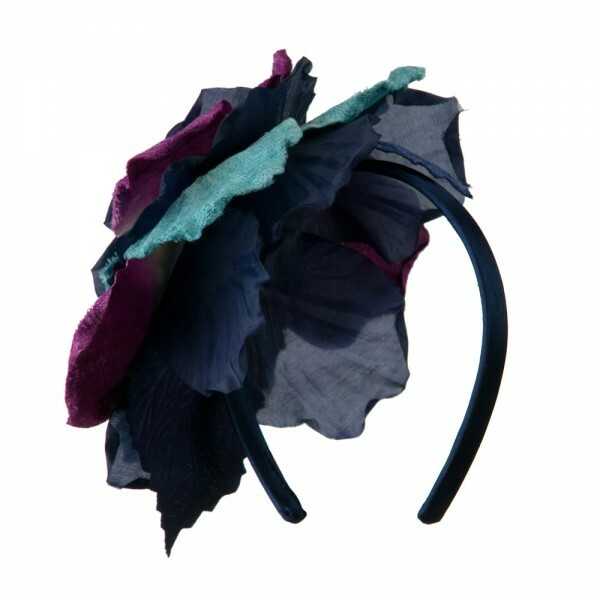 These large petals will enhance your outfit and give you a radiant look that will make you the envy of all those around you. 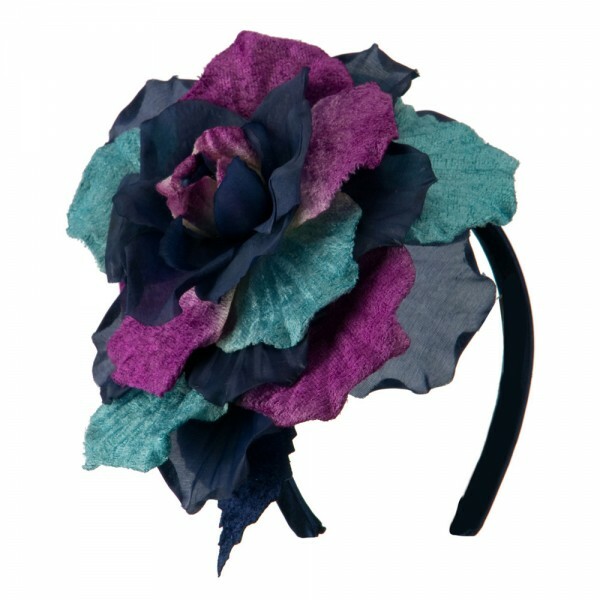 This Large Velvet and Silk Flower Headband is perfect for a date, party, or a night out with your girlfriends when you're dressed to impress. 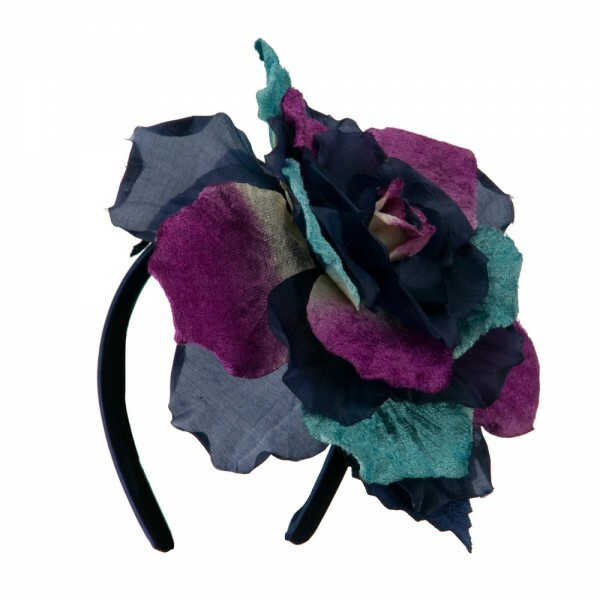 With interwoven layers of multicolored petals and solid colored petals, it has just the right amount of colors and design to not overpower your natural beauty. 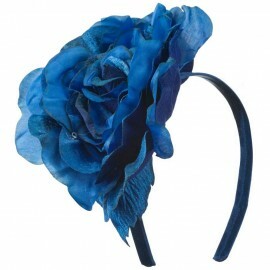 This fun headpiece will become a favorite of yours and will be worn for many events to come.